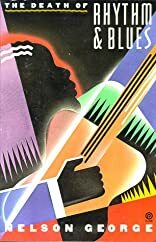 This passionate and provocative book tells the complete story of black music in the last fifty years, and in doing so outlines the perilous position of black culture within white American society. In a fast-paced narrative, Nelson George's book chronicles the rise and fall of "race music" and its transformation into the R&B that eventually dominated the airwaves only to find itself diluted and submerged as crossover music. About Nelson George (Author) : Nelson George is a published author. Published credits of Nelson George include The Death of Rhythm and Blues.